Update 3: Thank you so much Tampa Bay, for your ideas on how to use the excess money. 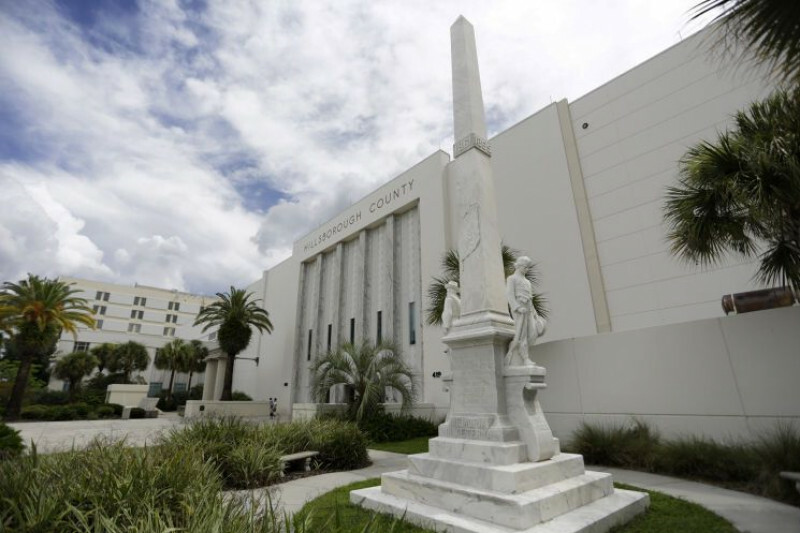 In light of the constantly changing positions of the Hillsborough County Commission, we're delaying making a decision on the excess funds until the statue has been completely moved. The contract for the relocation will begin on September 1, and is scheduled to be completed by the 3rd week in September. We'll keep you posted, and thank you again for your continued support and involvement! BTW: here's the speech that started it all. Tom Scarritt's July Speech to the Hillsbrough County Commission on how the community could bring this issue to a peaceful resolution that would satisfy both sides. Update 2: Thanks to your generosity, we actually have a little extra money. What should we do with it? Please comment below, or respond to the Gmail account email you received when you donated. Thank you again Tampa Bay for helping our community heal and unify! Update 1: Thank you so much Tampa Bay! We did it!! With outside donations we are now over $140,000 (your $52,145 + checks written by Tampa Chamber, former Tampa Bay Storm owner Bob Gries, Mayor Bob Buckhorn and more)! We couldn't have done it without your help! Thank you!!! 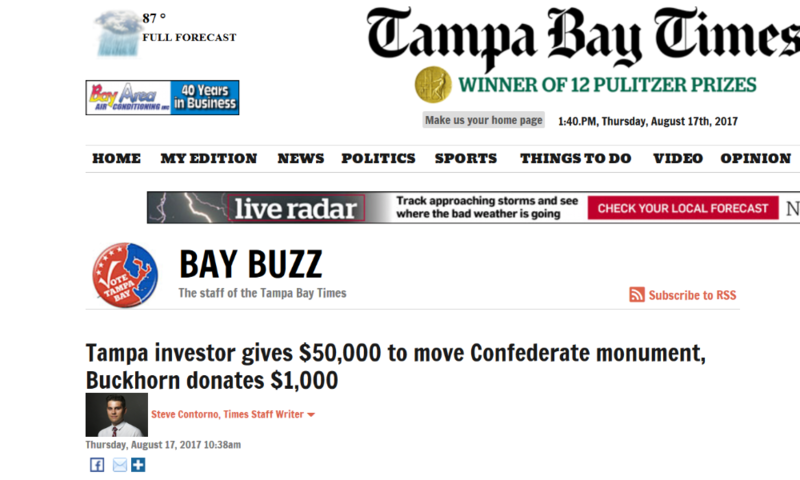 Can Charlottesville happen here in Tampa Bay? A memorial to Confederate soldiers, which guards the entrance of the county courthouse, has become a part of a national movement and could be the spark. Supporters of the statue say it represents the dignified and proud Southern heritage of our city, and the patriotic fervor of those who fought to defend their homes and family. They say it honors their memories and removing it would be removing an important part of our history. Opponents point out that statues like this went up around the country during Southern Rconstruction and weren’t placed in parks or cemeteries. Instead, they were placed prominently in front of courthouses to send a message. And they say that message was that even though the Supreme Court in D.C. had ruled that all were equal under the law, the same people who were lynching people of color yesterday would be overseeing them in court today. Perhaps this is why the state attorney general described African-Americans as “an inferior and ignorant race” in his commencement speech for the statue. With feelings running so strong on each side, tempers have flared. And now the national KKK has targeted our city over this issue. We are fearful of the repercussions of this crisis to life and limb, our community, and how we, our businesses, sports teams and city are seen on the national stage. The Chinese say that "crisis" actually means “dangerous opportunity." And there is a *fragile bargain* that has been struck that gives us an opportunity to solve this problem. The Hillsborough County Commission has agreed to a solution that would meet the needs of both sides. It would move the statue away from the county courthouse, and preserve it in a private graveyard belonging to the Brandon family. The only hitch is that we need to raise $140,000 to make it happen. Once that does, the county will pay the remaining part of the $280,000 required to do this. We know this is a lofty goal. But we also know the resolve of the Tampa Bay community to preserve the peace in our community and between friends and neighbors. And we know that none of us want outsiders dividing us against ourselves for their own purposes. We ask you to donate today. We also think your donation goes way beyond the important issues surrounding this monument. It provides the impetus for coming together as a community and the momentum we need to cooperate to solve numerous other problems in the city we all know and love. So we thank you very much for your donation! Thank you Alex Sink for your $1000 donation! "This divisive symbol has no place in the heart of our city - a city built on rich multicultural history. Let's move it!" Thank you Rick Fernandez, for donating $500 and matching the next $2500 that are donated! "Please consider making a contribution. 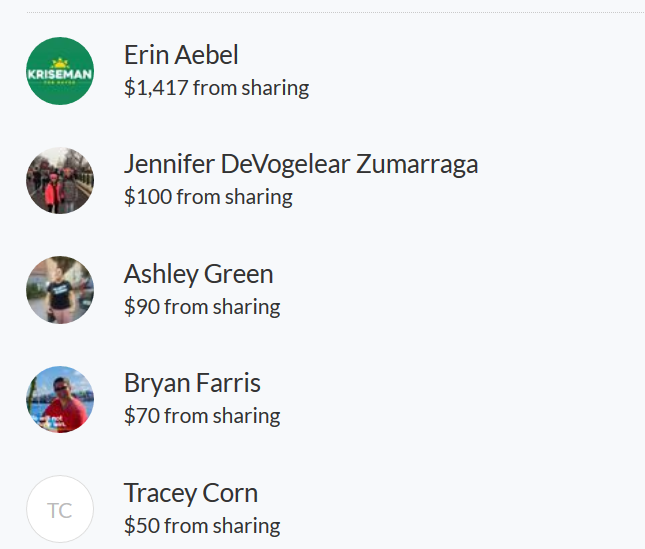 if you let me know you've done so, I will match your contribution up to a personal$2500. You don't have to like it… I don't… Just do it!" And thank you to YOU as well. Thank you for giving and becoming a part of history! 2) Proper relocation of the soldier monument in a manner that ensures no damage occurs . 3) Post relocation inspection What happens if the $140,000 is not raised? All donations will be refunded if for some reason the goal is not met. Thank you Erin Aebel for raising over $1000! And also all the others who are mobilizing their networks for this great cause! Thank you! 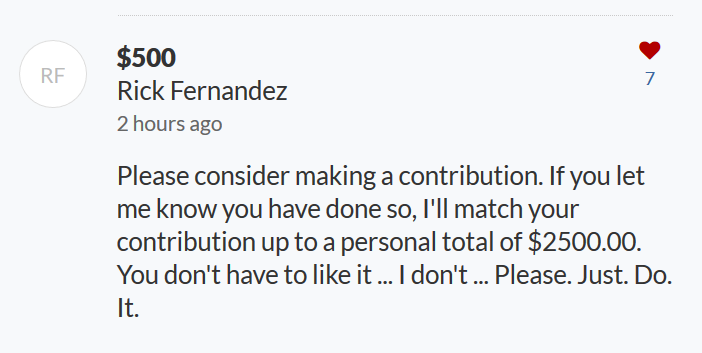 Thank you Rick Fernandez, for donating $250 and agreeing to match an additional $2500 for the next people who donate. Please donate so we can take advantage of Rick's generous offer! Thank you Alex Sink for your donation and support. "This divisive symbol has no place in the heart of our city - a city built on rich multicultural history. Let's move it!"